Diprobase is an emollient, moisturising and protective cream. 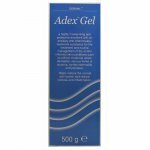 It helps to soothe, smooth and hydrate the skin and prevent moisture loss. In adults and children, Diprobase Cream is used to treat red, inflamed, damaged, dry or chapped skin and to protect raw skin areas. 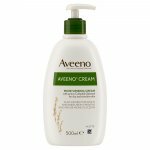 If you are suffering from a skin condition called eczema, and your skin is dry, the cream can be applied before having a bath, to prevent your skin from drying even further. 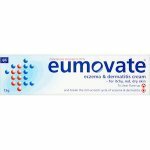 Eczema is a common skin disease, which causes the skin to become red and itchy. Always use Diprobase exactly as your doctor has told you. You should check with your doctor or pharmacist if you are not sure. If the symptoms persist or the condition worsens, stop using the cream and consult your doctor or pharmacist. Do not use if you, or your child, have ever had an allergic reaction to any of its ingredients. 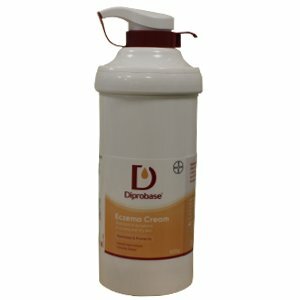 Diprobase cream contains chlorocresol and cetostearyl alcohol which may rarely cause skin reactions (e.g. contact dermatitis) or allergic reactions. If you are worried about this or any other effects, you should contact your doctor or pharmacist. If you forget to use Diprobase at the right time, use it as soon as you remember, then carry on as before. Like all medicines, Diprobase can cause side effects, although not everybody gets them. If your symptoms persist or the condition worsens, stop using the cream and consult your doctor or pharmacist. 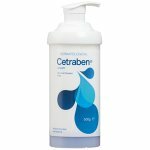 Skin reactions including itching, rash, redness, peeling, burning, pain, dryness and skin inflammation (dermatitis) have been reported with product use. If you are worried by this or any other effects, you should tell your doctor or pharmacist. The cream should not be stored above 25°C. Do not use the cream after the expiry date “exp” which is stamped on the pack. This can be found on both the carton and tube. This refers to the last date of that month. White soft paraffin, cetostearyl alcohol, liquid paraffin, macrogol cetostearyl ether, chlorocresol, sodium dihydrogen phosphate, sodium hydroxide, phosphoric acid and purified water.